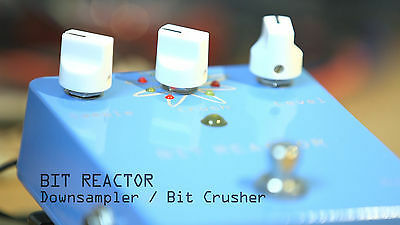 Our friend and fellow musician / electronics engineer Ryan Sarver has created an amazing sound crunching stomp box called the Bit Reactor. We’ve got one in the studio and it’s a lot of fun to use – timbres ranging from smooth to extremely gritty, and with a lot of personality! We’re hoping to make a modular version of this beast, in the meantime you can get a pedal from Ryan’s eBay listing – while they last!